Latest figures show that over 3million people aged over 55 are looking to move home, yet only 7% actually do so! The biggest reason is lack of suitable property. A new option is enabling architects and their housebuilder clients to cost-effectively incorporate a design feature that differentiates the property, and adds value: a shower toilet. 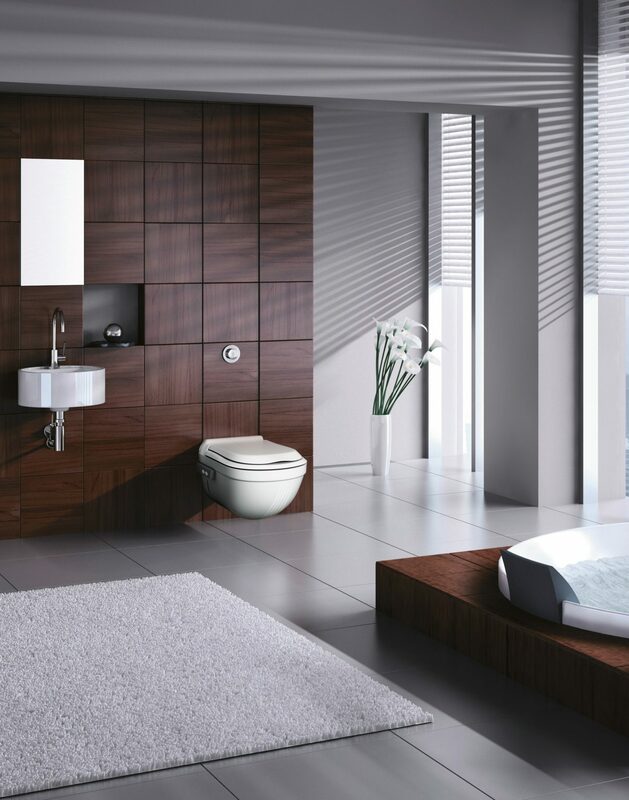 The Closomat Asana delivers a stylish, wall-hung WC that has added value. Its integrated douching and drying functions deliver “the ultimate in intimate hygiene” for all users, regardless of ability and mobility. But, as the occupiers age, those functions save them having to struggle to clean after going to the toilet, and/or undertake refurbishment or adaptation of the bathroom. To use, ‘go’ as normal, then trigger the flushing mechanism. Closomat’s Asana flushes, washes the user’s bottom, then soothingly dries it with warm air. Push button control on the side of the toilet (or via the remote control included as standard) gives a choice of pulsating, rotating, variable temperature sprays- or all in one. Explains Robin Tuffley, Closomat marketing manager, “If you are designing and building for supported living, the ‘last time buyer’ market, make sure the home is as fit for life as possible. The bathroom is the most frequent room to be adapted as the occupier ages, and/or their health deteriorates, and the WC is the most common fixture to be changed. Installing a shower toilet not only future-proofs the home, but gives a more hygienic solution too, so there are several USPs with just one comparatively minor change. Family owned, since its foundation over 55 years ago, Closomat is Britain’s leading brand of shower toilet, and the only one that has UK-based sales and aftercare support, complete with its own dedicated team of service engineers. It is unique in offering shower toilets that can be “accessorised” initially or retrospectively to your specific tastes and needs. It is also unique in offering a selection of service & maintenance packages, to give you the peace of mind for the long-term future, enabling its units to deliver ultimate hygiene & cleanliness for decades(*).